Get your flags ready for waving! For the upcoming Independence Day, Museo Pambata (MP) reminds visitors why they should be proud of being a Filipino with activities that celebrate the culture and heritage of the Philippines. MP pays tribute to your personal household heroes a.k.a. your fathers by giving away free gift items to the first 30 dads who visit the museum with their families. On June 2 (10 AM), watch a play performed by shadows and lights with the Anino Shadowplay Collective. You can also learn how to become a shadow puppeteer after the performance. If you're feeling crafty, drop by the museum's arts and crafts activities facilitated by the museum's creative bunch of guides (June 3, 17, and 24 at 2 PM). Enjoy watching traditional Philippine folk dances as performed by the Bayanihan Philippine National Folk Dance Company on June 16, 10 AM. Join a storytelling session featuring the book “How Long 'Till September?,” written by Tanya Sevilla-Simon, illustrated by Jill Arwen Posadas, and published by Adarna House, Inc. (June 23, 10 AM). How well do you know Manila's landmarks? In honor of Manila Day (June 24), test your geographical knowledge through a spot-the-difference game, and win special prizes! Museo Pambata is located at Roxas Boulevard corner South Drive. Museum hours from Tuesday to Saturday are from 9 AM to 5 PM and 1 to 5 PM during Sunday. All activities are for free with admission (Php 100 for both children and adults). Manila residents with valid IDs may come in for free during Tuesdays and avail of a 50% discount on other days. For more information, call us at 523-1797 to 98 or 536-0595 or send us an e-mail at info@museopambata.org. Spend a morning filled with children's stories from your favorite Filipino authors. Watch your favorite Filipino children’s songs and rhymes, as performed by shadows and lights! Dogs are fun and loyal playmates! Make a dog out of toilet roll tubes. Let our guides teach you how. See dances from all over the nation without leaving your seat, with the help of the members of the Bayanihan Philippine National Folk Dance Company. Hang up a chime that makes windy days musical. Learn how in this fun arts and crafts activity. Let’s join a little girl as she anticipates the month of September in this book by Tanya Sevilla-Simon, with illustrations by Jill Arwen Posadas, and published by Adarna House, Inc.
How well do you know Manila’s landmarks? Celebrate Manila Day and test your Manila knowledge in a spot-the-difference activity to win gift items! Fathers and sons can bond over art, as our guides teach you how to make a toy car out of toilet paper roll tubes. Magsaya, Matuto, at Maglaro sa Museo Pambata! 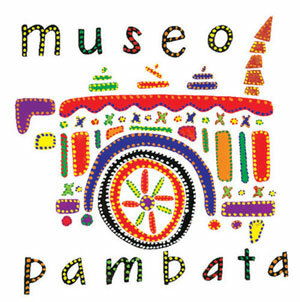 Have fun exploring Museo Pambata’s unique and fun theme rooms with exciting activities! Enjoy learning more about our theme rooms and get to have fun at the same time, together with our theme room guides. Every 2nd and 4th Sundays until July. This is a nice find blogsite Nilo, wishing you more power and looking forward to see more informative reads from your site. God Bless and Good Skill!